This is a small drive by post to wish you all a Happy Thanksgiving. I recently acquired a netbook in a pre black Friday sale so you should be hearing a lot more from me. 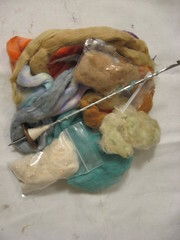 In the meantime, you can hop on over to one of my sista-in-crafts' blog for some fiber content. She's super creative and I'm so glad that she decided to finally take the plunge into blogdom! Gobble, Gobble folks! If you haven't guessed, I recently went to spinners heaven, also know as SOAR. 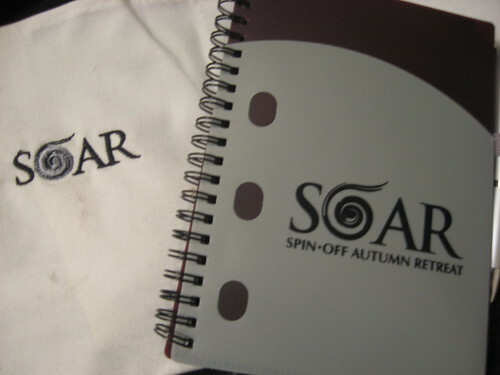 For those non fiber heads out there, the acronym stands for Spin Off Autumn Retreat and I was one of the lucky few who received a scholarship (YAY)! It was absolutely surreal but I will try to put into words all that I experienced. First of all, I screamed and cried when I found out I got the scholarship. Then I freaked out into a bunch of "ohmygodohmygodohmygod"s once I found out who I was rooming with. 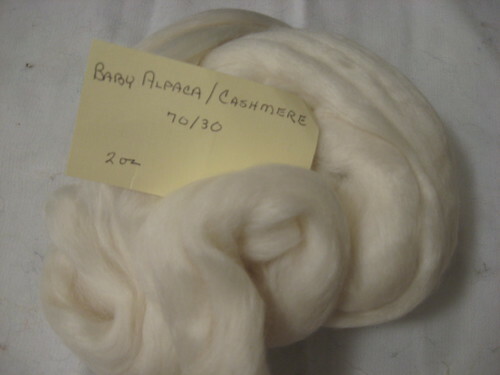 I had the pleasure of spending the week with cotton spinning diva Stephenie Gaustad. Sadly I didn't get any pictures of her but I felt so honored to be in her presence and yes she did the eyebrow thing a lot. 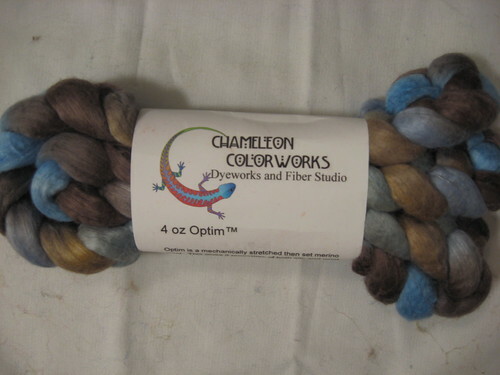 She is a wealth of knowledge and shared her spinning treasures freely. She is just a genuine person that I grew very attached to. I miss our morning chats over a nice cuppa tea already. Between her and Phreadde, I think I've got this cotton spinning thing licked for sure. I began the week with a three day workshop with Judith MacKenzie Mccuin. Yeah, I know. I'll let that sink in for a minute. The topic was spinning for socks but we got that and so much more. I won't get into everything right now because I just don't have the time but I will share one tidbit. During the week I would run into random SOARers and they would ask "Whats one thing you learned?" 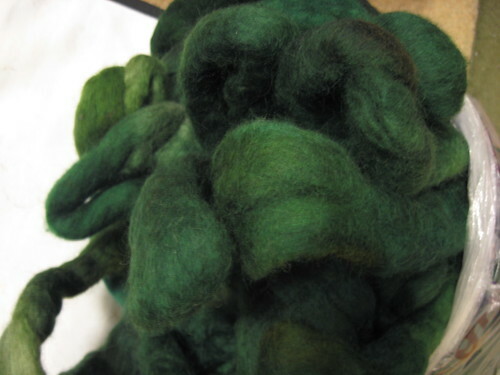 My answer was usually this: I learned that functional yarn does not have to be pretty. 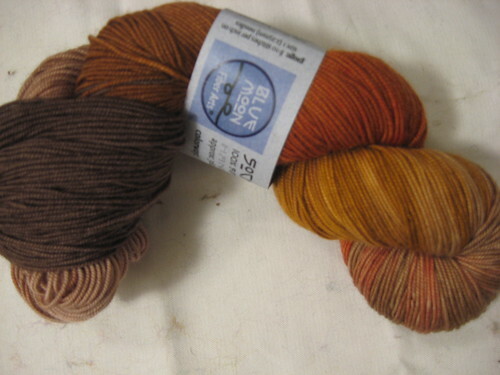 That means that if I want to spin yarn for a light lofty sweater or a durable sock it does not have to look like mill spun it. For some reason this really changed my way of thinking. Like I feel a load has been lifted. On Wednesday, I sat down to lunch and guess who was seated a couple of chairs down from me.....Evelyn (Swallowtail Shawl) Clarke! I didn't warn you guys that I would be dropping names like dimes but its so much fun. I couldn't think of anything cool or witty to say when I first recognized her so I just stayed quiet. She did seem quite lovely though. There was an impromptu spinning contest and I was unwillingly entered into the contest by one of my pushy retreatmates that wouldn't take no for an answer. 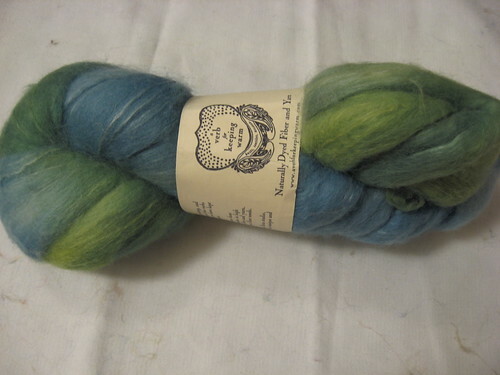 I came in last but thats OK because I keep telling myself that I had the prettiest yarn of them all. 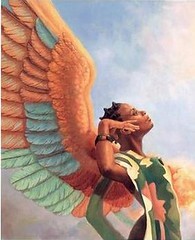 I may seem all over the place in this post but its like information overload. You know what I mean? Anyway, I got to hang out with another scholarship recipient Erin. She's my new BFF. She's so giving and creative and I'm so glad that I met her. We had a swilling good time! I had to travel all the way to Oregon to meet Jimbobspins too who lives all the way in Brooklyn (go figure). Hopefully I'll be able to stalk meet up with him at a spinning meetup. I took four retreat classes on Friday and Saturday. I got to drum card luxury fiber with Abby (I'd like to think that we're BFF"s in my head), mix colors with Deb (I also like to think that we're all on a first name basis like that), dye squishy fiber with Amy (I really wish that I could've had one of my braids dyed pink) and spin long draw with Maggie (What a delight, she even offered us a popcorn glove). Like a dummy, I didn't whip out my camera as often as I should, but here's the loot that I scored at the market. I got two spindles. 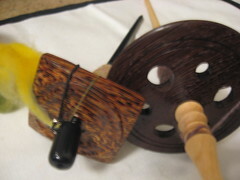 The square one is from Spindlewood and its a square red palm whorl with an ebony shaft. My other spindle is a Tom Forrester and it spins like a dream. 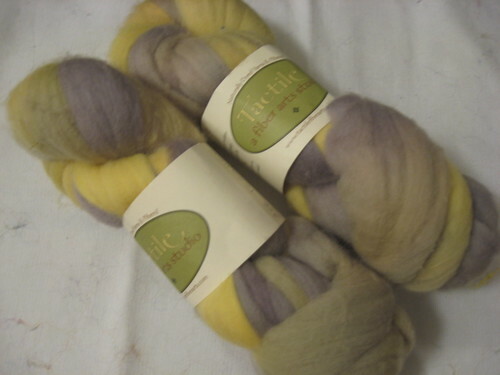 I also purchased some of the SOAR fiber who's proceeds benefit the Susan G. Komen for the Cure and SOAR scholarship fund. 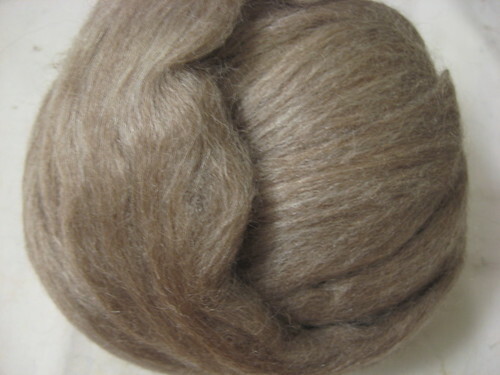 It is eight ounces of a BBFL and Tussah Silk mix from Ashalnd Bay. Once I get my projects from class organized I'll share them in pieces on this blog. My computer is on the fritz right now so I've been using my fiance's macbook which is not as easy for me to navigate. When I get my own laptop I'll be able to post a lot more. I'm sure I'm leaving tons of stuff out but I don't want this post to get too long. I'll catch you guys on the flip side.